If you would like a deeper experience with a horse than a few hours of memories and a sore behind we offer equine school. The best part is, you get to set your own curriculum. Learning to handle a well trained horse is simply a matter of communication. Consider this. A horse already knows how to walk, how to run, how to turn and how to stop. The training the horse goes through teaches him to do each of those things in response to a signal from his rider, and to not do those things except in response to a signal from his rider. It will take you years to learn how to teach the horse to respond to signals, and to not move except in response to those signals. Once you are a master trainer, it will then literally take you years to train a well trained horse. But people learn faster than horses. If you have a well trained horse to ride, you need to be taught the signals to which the horse has been taught to respond, and how to properly administer those signals. The basics can be learned in a few hours. Add a few more hours of posture and balance training and you are then prepared to raise your horse riding experience to a higher and much more satisfying level. That is what we offer at Rocky A Ranch in way of training. 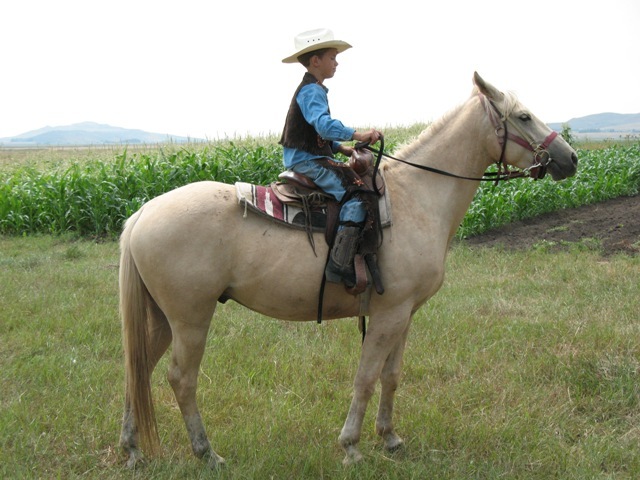 Proper reining is not hard, but not something that comes naturally to most of us.